Provides an unique account of the beginnings of the Western Desert Painting Movement as told by Geoffrey Bardon: the man who inspired the Movement's beginnings. Recovers and publishes for the first time a comprehensive selection of surviving art produced at Papunya. Features over 500 paintings, drawings and photographs from Bardon's personal archive. Provides short biographies of the key painters in Papunya, including Kaapa Tjamptijimpa, Johnny Warrangkula and Mick Namerari. Critically acclaimed - 'This book is a kind of bible of Aboriginal art. It is grandiose in scale, defining in its pictorial record and rich in narrative momentum' The Sydney Morning Herald. In 1971, a hopeful young art teacher drove the long, lonely road from Alice Springs to the Aboriginal outpost settlement at Papunya. His name was Geoffrey Bardon. Eighteen months later he left Papunya, defeated by the hostile white authority. 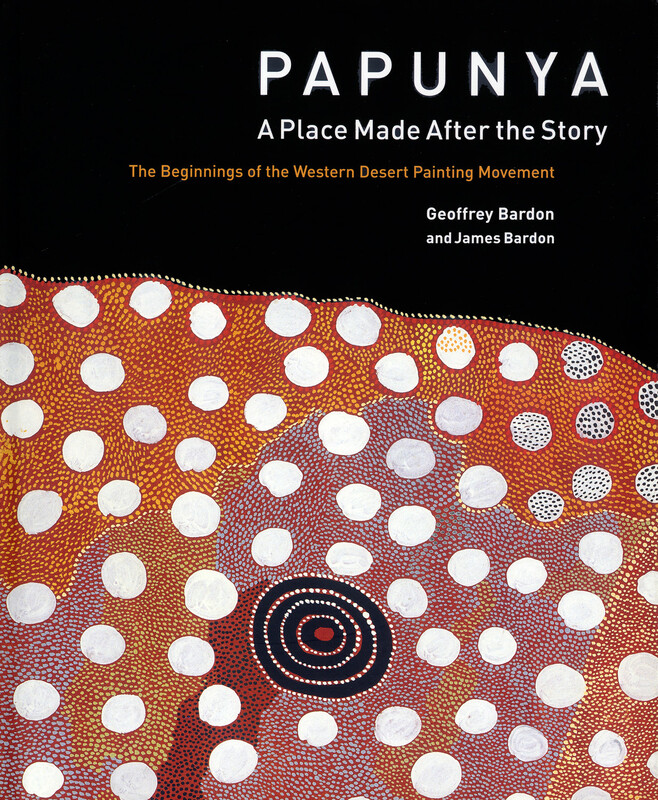 But his legacy was the beginnings of the Western Desert Painting Movement and the inspiration for this fascinating account of Bardon's experiences and the Aboriginal art of Papunya. What started as an exercise to encourage the Aboriginal schoolchildren to record their sand patterns and games grew to involve, at the peak of creativity, as many as 30 tribal men and elders. With Geoffrey Bardon's encouragement, these men worked to preserve their traditional Dreamings and stories in paint. The artistic movement unleashed at Papunya spread over Central Australia and has since achieved international acclaim. Papunya: A Place Made After the Story is a first-hand account of the artists and the works emanating from Papunya. Bardon's exquisitely recorded notes and drawings are here reproduced showing his extensive documentation of the early stages of the painting movement. This book features over 500 paintings, drawings and photographs from Bardon's personal archive. Many of the images have never been seen before and many of the paintings are now lost. The publication of this material is an unprecedented achievement, and Bardon can now be seen as the catalyst he was for a powerfully modern expression of an ancient indigenous way of seeing the world.